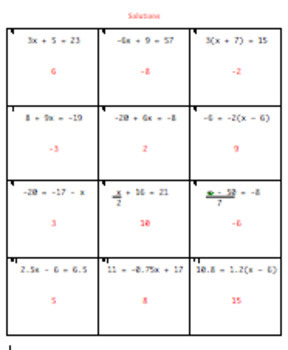 Students will solve 12 different two or three step equations. These equations involve inverse operations such as addition, subtraction, multiplication, and division. 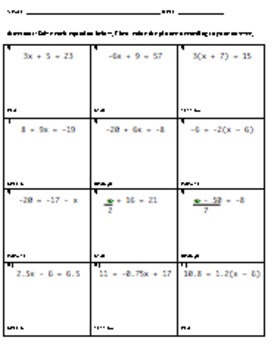 Students will be exposed to simple fraction and decimals. 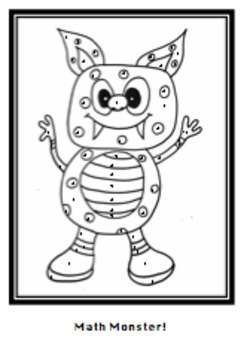 After the equations have been solved, students can find their answer on the attached Math Monster and color their answer with the indicated color.